It is amazing to think that only ten years ago, a post like this probably wouldn't have been possible. How the times have changed! We probably all know at least one person that blogs or vlogs (video blogs) as either a hobby, or maybe even a full-time job! 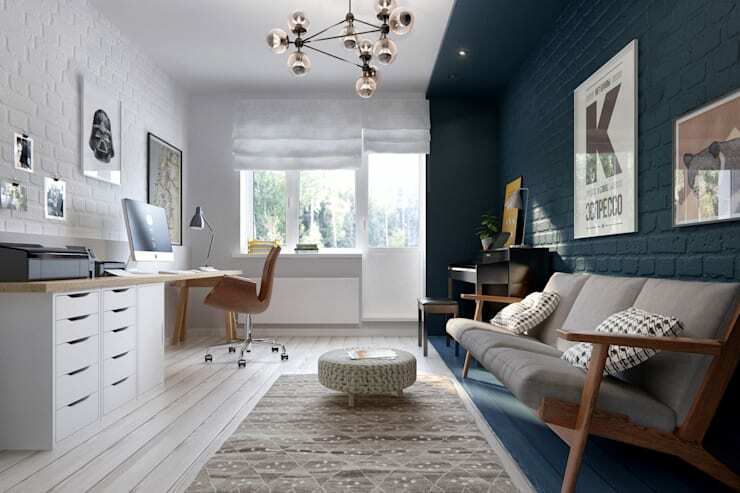 With the rise of hobbies and jobs like these, the need to commute to an actual work space has diminished through time and now the home has become the central area for both living and working. As the home has now transformed into a multifunctional space, both the way we function within our home and the way we design it are of the utmost importance. How do you create a space that is both livable and inviting, while also being conducive to efficient and fast-paced productivity? Well, we have some suggestions below on how to create a perfect space for blogging/vlogging at home—and these tips and tricks can definitely be applied to any at-home work space. So get your ideas together, read through our suggestions and get inspired to produce some of the best work of your life! If you have accessible places for everything you need to blog/vlog, then you will be setting yourself up for success when it comes to cleanliness, organization and productivity. 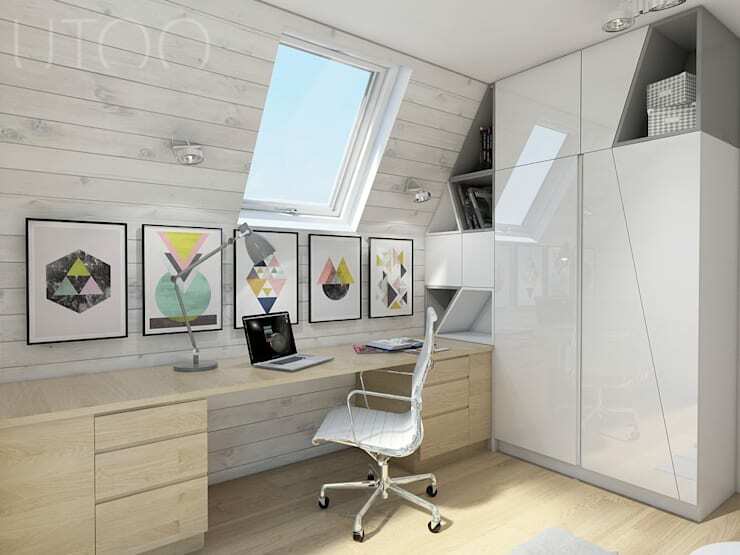 For a view of a great functional loft space, check out this loft office! Keeping your work area tidy is incredibly important! Whether you work alone, have others that join you or need to constantly set up for photography/videography sessions—then keeping your space tidy will help all of these processes move more smoothly. This work space has everything you could possibly need to work—desktop computer, scanner, printer, and copier—yet the space feels impeccably clean. We suggest that you keep work spaces rather minimal in accessories and decor, as these items can quickly clog up desk and wall space for project supplies. Again, having a great, multifunctional desk (as mentioned before) will aide you in this process! And don't forget—labels, labels, LABELS! A natural aspect of any blog or vlog, is taking lots and lots of pictures. So, when designing your own blogging/vlogging area, making sure you have an appropriate space to do this in is very important. Now, we're not necessarily referring to a full-blown photography studio with tons of equipment and a separate dark room! What you essentially need is one giant white table for overhead photographs, and one huge white wall if you prefer to paste and shoot. The table in this example is perfect—of course you will have to adjust the sizes of tables and walls you need if you tend to shoot larger items and projects. Also think about what kind of natural and artificial light you have in your room and set up your table accordingly as to avoid pesky shadows and bright glares! One guarantee for blogging and vlogging is that you will be doing a huge amount of interviews and talks over time. Whether it's meeting other celebrity bloggers, interviewing fashion designers or having a coffee with a fellow blogger/vlogger that is in the same industry/market as you—you should plan for a comfortable and cute space for these meetings to occur. As a lot of bloggers and vloggers work in partnerships or pairs, it's always a good idea to provide seating for yourself and maybe a smaller-to medium-sized sofa to fit at least two to three other people. Cozy up the space with different styles and sizes of pillows and maybe throw in a quirky blanket to add to the warmth of the area. When blogging/vlogging, it's always best to take time to study the person you will be interviewing and prepare your room before they arrive—do they like artisan coffee, tea, or fun cocktails and fresh flowers? Prepare these things to make a real impression. Most importantly, this will be an introduction into your lifestyle and aesthetic—so make your first impression last! If you're blessed with a personal work space at home, consider yourself lucky. With all this talk about the functional design aspects of your office, we needn't forget to make the design space beautiful! As stated before, you might want to leave most of your decor and accessories out of your office space as to not clutter it and make it feel overcrowded. If you're looking to add a huge pop of colour, or a statement piece—think about creative wallpapers. Fabric wall papers, texturized wallpapers and wallpapers made by local paper designers and artists are always a great way to add to the extravagance of your room! Pieces like this can really set your workspace apart, make you feel inspired—and most importantly, be conversation starters! Think about using super unique bookshelves as another way to make a statement while maintaining function! The amount of time you will spend in your workspace means your should make it as livable as possible! 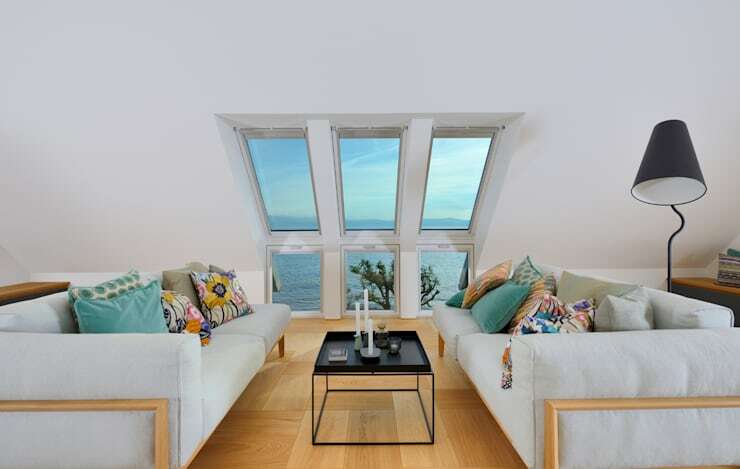 Bringing in both natural and artificial light whenever and wherever possible. If you bring in enough natural light, then waking up early in the morning, with espresso in hand to start your work, should be no problem at all. However, if your space is smaller or has limited window options—that is ok too! Make sure you're being smart about the kind of light you're putting into your workroom. Make sure you use smart lights that mimic, as closely as possible, the feel of natural light and light bulbs that are energy efficient! 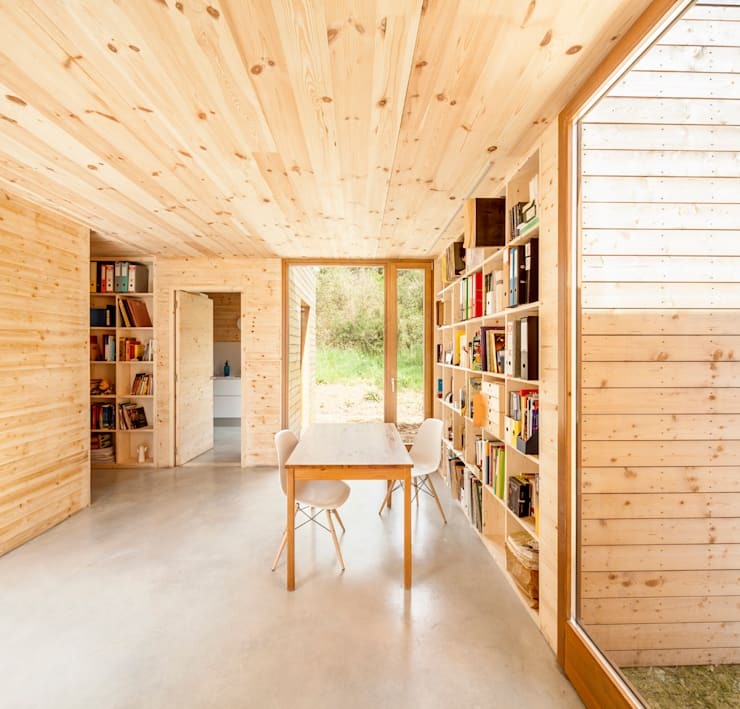 If you have minimal space for natural light, then combining both natural and artificial light is acceptable too—this smaller office emits a great amount of both! Lastly, if you're a vlogger or include videos on your blog, then creating a space for making videos is important! We like this example because the use of two different paint colours on the wall has essentially created two different atmospheres. This is great for two reasons—first, if you have a more clean and direct aesthetic associated with your videos or tutorials, then a white space with great decor is ideal—second, if you have more editorial-type videos with interviewing, etc; then perhaps the blue background with the comfortable and sleek couch are a better option. Allow yourself mobility, versatility and accessibility in your work space to shoot from all angles and the acquire the best lighting!